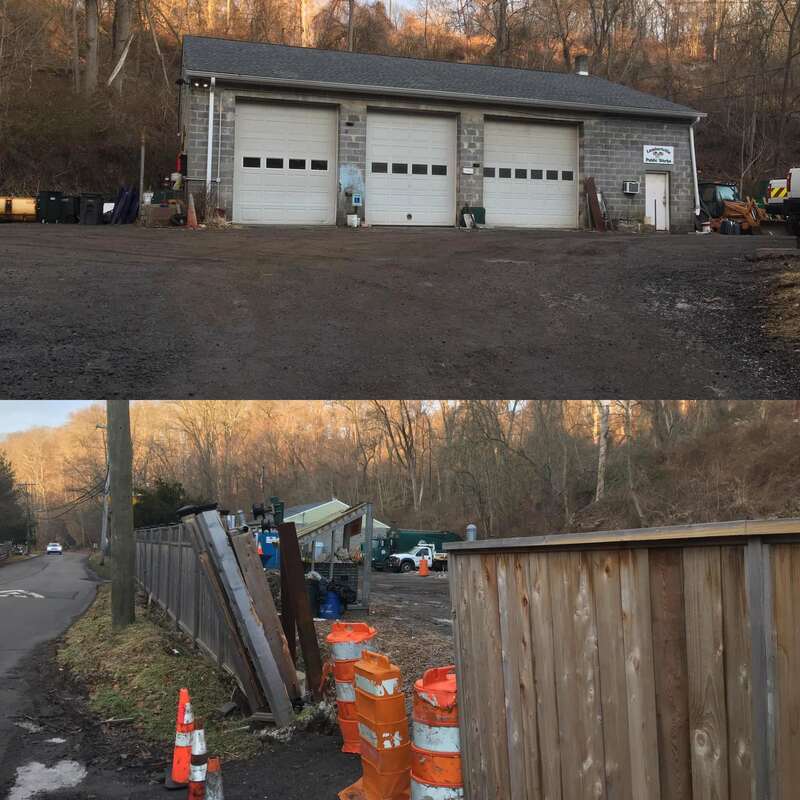 The Department of Public Works (DPW) city garage yard on Quarry Street in Lambertville is set for potential closure to the public at the end of the month. At the Feb. 4 work session of the Governing Body of the City held at the Phillip L. Pittore Justice Center, Mayor Julia Fahl and city council weighed the matter of keeping the yard open to the public. The mayor noted that there have been several complaints from the State Department of Health, nearby residents of Quarry Street, and that inappropriate dumping has been a concern. Mayor Fahl defended the decision. “This checks a lot of boxes,” she said. “First, the state and DEP have asked small municipalities to start shutting these down. And the cost for us would have been a huge expense to the city.” Fahl also underscored the costs of compliance: leasing or buying a new industrial-sized dumpster, trucks and driver training. 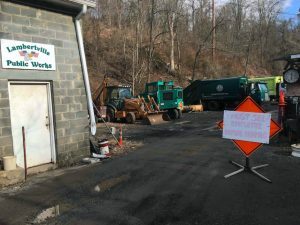 A call to the Head of the Hunterdon County Department of Health and County Health Officer, Karen DeMarco, confirmed they received a complaint in November 2018 about the site, and performed an inspection under state regulation for a convenience center, strictly a place for passenger vehicles for residents. “Currently it does not meet the standard for a convenience center. There were issues of public health concern; they would be out of compliance with solid waste regulations,” DeMarco said. She noted that there was a lack of monitoring on dumping, a lack of guidance on types of materials accepted, and that the brush pile “creates the environment that might attract vermin or create odor issues.” During the monitoring period, illegal items disposed included household hazardous waste, propane tanks, air conditioners and non-recyclable materials from both residents and non-residents. The potential closure does not affect curbside single stream recycling or brush and leaf collection. But the yard will no longer be a location for metals, electronics and wood. Councilman Wardell Sanders questioned whether stopping public access to the yard and having public works collect all of the leaves and brush would be freeing them up or causing more overall work. Fahl contended that it was preferable to paying someone an hourly rate to stay in one place and monitor the facility. Fahl then responded that for the next meeting, council will be provided with the health department’s report on the city DPW yard and cost estimates for getting it back to working standard. “We’ll make sure we’re good on communication about this issue,” she said. During Fahl’s office hours on Feb. 5, she expanded on this to the Free Press. 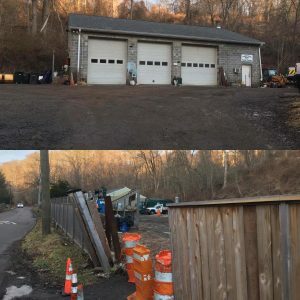 “We have found the vast majority of what’s being dumped at the yard is from non-resident contractors that are refusing to get dumpsters for their work sites, rather than your average Lambertville resident who has a little too much recycling,” she said. Electronics recycling has already stopped. A possible sign of broader global trends, Goodwill picked up their final e-cycling at the yard last week. Residents who want to drop off electronic recycling will now have to go to the Route 12 Complex in Raritan Township, which collects e-cycling three times a year. The public can still access the yard during regular hours for the entirety of February. Mayor Fahl highlighted that residents can ask more questions during her office hours, a Facebook Live on Monday Feb. 11 and the regular Governing Body of the City Meeting on Feb. 19. Karen DeMarco and county department of health officials will be present. The status of the DPW garage yard will be on the Feb. 19 meeting agenda, but it does not have be shut by ordinance and does not have to be voted on by council. Let’s hope that this change brings about better pick up of garden material. There’s a need for frequent and regular services ( weekly from Spring through late Fall ) for the disposal of garden waste. Lambertville is not only an attractive place for residents and tourists because of its architecture, restaurants and shops. It’s greenscape, both public and private, is a major contributor to the city’s charm. It would seem to be in the city’s best interest to do all it can to support a healthy and beautiful landscape rather than set up obstacles to residents who are working to build and maintain gardens throughout Lambertville. I was turned away from the ciity lot this week and told the lot is already closed.. If ithe lot stays closed it is likely garden debris will be put into the regular trash stream and some will pile up on sidewalks while awaiting a sporadic pick-up by the city..A monitored opening of the lot for a few hours each week would seem to be a better and less expensive option. Exactly. Private trash and recycling are a joke. All of this trash will be dumped. Too bad, compared to other parts of the country this area had almost zero recycling which also results in more commune in the waste steam further compounding the issue. I don’t fault Lambertville in their decision. They can’t pay for everyone else. Is there any concern that this could lead to more illegal dumping is less desirable places like the yards of unoccupied homes or in the canal?